It’s been a minute but I wanted to take this opportunity to tell you about an important fundraiser that I am co-hosting this weekend. It was born from the pain we share and love we feel for our neighbors up north affected by the recent wildfires. 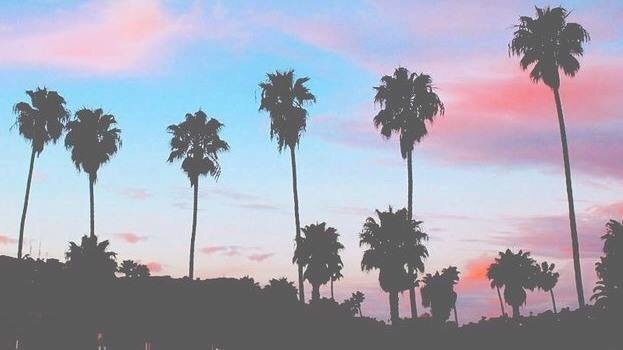 Please join us this Saturday (10/28) from 5-9pm for LOVE:CALIFORNIA – A fire relief benefit. We’ll be at the gallery space located next door to TERROIR SF at 1114 Folsom Street in SF. $40 suggested donation at the door gains you entry and we’ll be pouring a variety of beautiful wines donated to us especially for this event. We will also be hosting a silent auction which will give you the opportunity to bid on some really amazing bottles. Come support our neighbors and mingle with a room full of familiar faces. Celebrate the end of the fires by raising a glass in honor of our brothers and sisters affected by these events. 100% of all door proceeds and the silent auction will be donated to the Redwood Credit Union Fire relief fund. Hi, Everyone! It’s been a while, and I’ve been busy working on new projects. I wanted to let you all know about a pop-up benefit dinner I’m hosting/cheffing this Monday, Feb. 20th at Ruby Wine. Ruby Wine has a small café next door called Provendor, and the last few Mondays there have been a variety of chefs using their kitchen for pop-up dinners. This Monday, Feb. 20th I am hosting a dinner there with 100% of the dinner profits going to an Oakland public school. The money will be used to purchase classroom supplies and books for the students at Fruitvale Elementary. Come by Provendor at 1415 18th St, SF from 6pm-9pm to order your dinner. You can then take it next door to enjoy at Ruby Wine (or take it to go). Travis will be there pouring wines by the glass, or you can purchase a bottle to share with no corkage fee. The menu includes options for meat lovers and vegetarians. Let’s pack the house and raise a ton of money for Fruitvale Elementary. I’m pouring my heart and soul into this, so you know it’s going to be great. I hope to see you there! Did you know that there are over 10,000 varieties of wine grapes in the world? 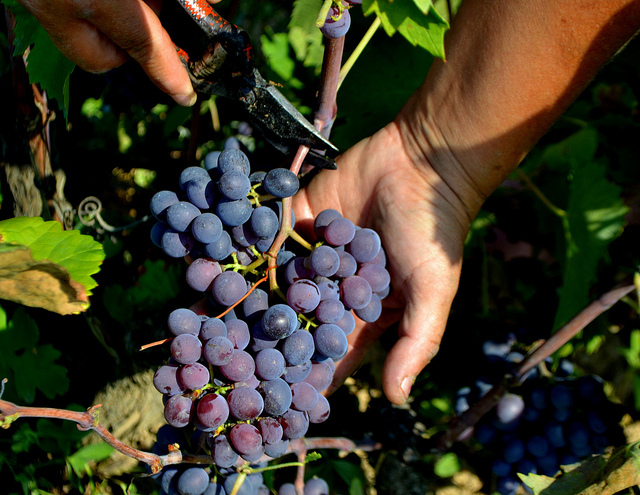 The vast majority of commercial wine production is limited to only 19 of them, which are known as the “noble grapes”. Of the remaining 9,980, only about 1,350 are grown in large enough quantities to be commercially viable. This quarter’s collection is dedicated to these lesser-known varieties. The stewards of these rare grapes are, in many cases, growing them to preserve local tradition and biodiversity, much like the farmers who grow and sell heirloom varieties of vegetables at your local farmer’s market. You can’t argue that the complex flavor of an heirloom tomato is inferior to that of a standard tomato – it simply isn’t true. They’re just different. The same goes for these grapes. Their names are hard to pronounce and you maybe have never heard of them, but they are certain to delight you with exciting new flavors and textures. To join the wine club, simply sign up here. Supplies are limited and will be allocated on a first come, first serve basis. Each 6 bottle wine club collection is $150 plus tax and a $15 flat rate delivery ($25 if you sign up for all 12 wines). Every shipment includes a full-color, 28-page booklet containing tasting notes, food pairing suggestions, and production notes about each wine. The wine club will be billed and shipped out the first week of November. A little bit of everything for the wine lover extraordinaire. Two still whites, two still reds, a dry Lambrusco (sparkling red), and the unclassifiable Trousseau-Gris from Jolie-Laide. Six red wines of varying shades and textures. Even a fizzy Lambrusco since red wine lovers deserve to celebrate, too! Six wines on the lighter side of the spectrum, with shades varying from pure white to a rosy hue. Sign up for the wine club and secure your collection today. 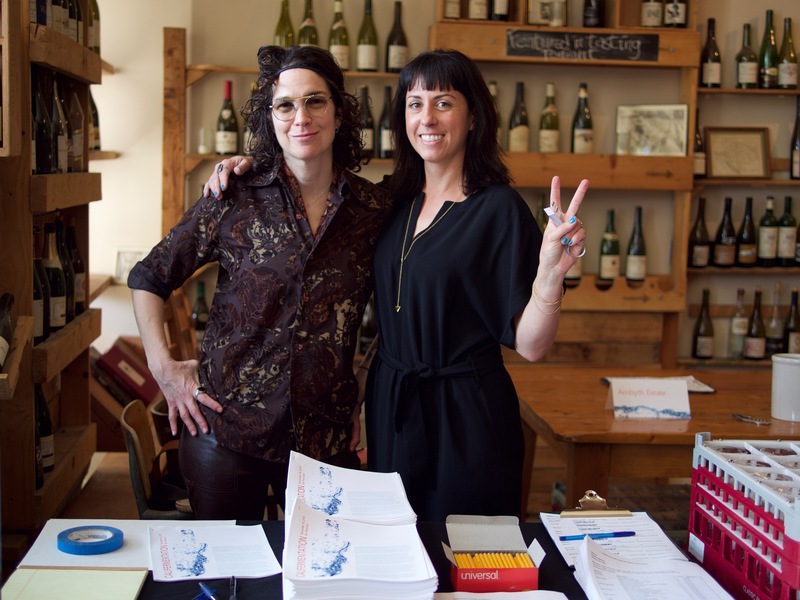 Join Tala of Winelandia and Pamela Busch of The Vinguard this Monday, October 17th @ 7pm for a Pre-Califermentation Pop-Up at Ruby Wine in San Francisco. 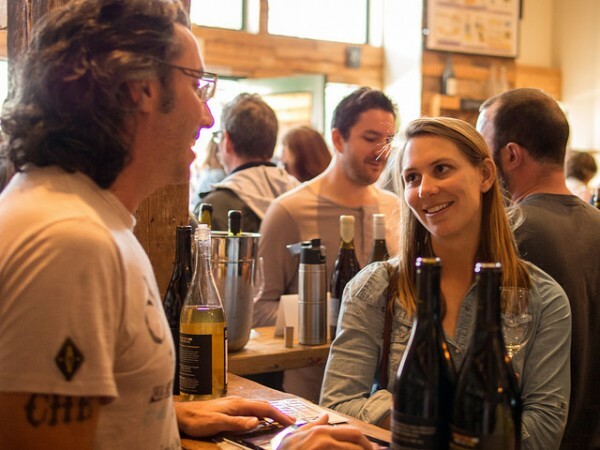 They’ll be pouring wines from a few featured producers, including AmByth Estate, Scholium Project, Petard Cellars, Sonoma Mountain Winery, and others. Wines will be poured in a tasting flight or by the glass for $10-$15. Come hang out and get to know the organizers of Califermentation. Tala and Pamela be available to chat with you about the landscape of natural wine in California while you sip on some awesome local juice. This quarter’s wine club collection is focused on Biodynamics, a farming and winemaking process drawn from the ideas of Austrian philosopher Rudolf Steiner in the 1920s. Biodynamic farming combines spiritual, mystical, and celestial methodologies to promote soil fertility, plant health, and biodiversity. It creates a holistic, resilient, and self-contained ecosystem that does not require the intervention of synthetic chemicals. A Biodynamic farm will not only have grapevines, but also fruit trees, livestock, bees, vegetable crops, grains, or many other types of plants and animals that create true biodiversity on the land, in addition to supporting living soil. There are also special Biodynamic “preparations” used for fertility and pest control, including compost teas, mineral-based sprays, and other nutrients that are sourced directly from the land that they are being used on. In addition to all of this, Biodynamic processes follow the lunar calendar, which is believed to have a major influence on the cycles of the vines and earth. Much like organic farming, there are certifying agencies for Biodynamic vineyards and wineries. The most common one you’ll see is called Demeter. So when you see that a wine is “Demeter Certified”, you can be certain that the grower is strictly following all of the practices of Biodynamics. 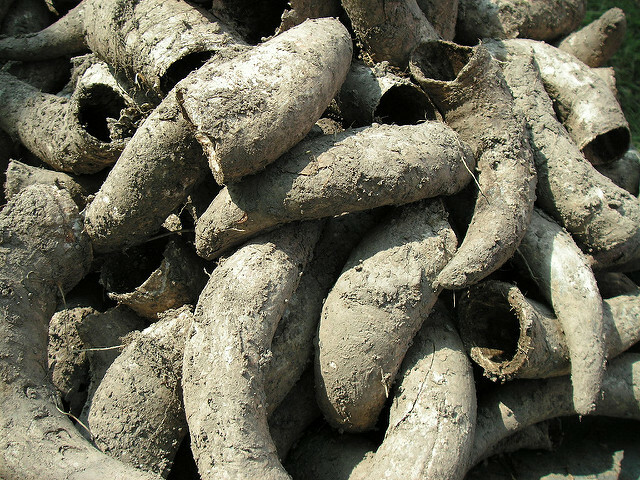 On the other hand, many followers of Biodynamic principles eschew certification, believing that it’s either too expensive or unnecessary for their own reasons. In your booklet notes, you’ll see whether the wine is Demeter Certified or simply practicing Biodynamics. To many of us, Biodynamics might seem a little… unusual. And if you’ve ever met a truly Biodynamic farmer, you might think he or she is a little odd. For a long time, Biodynamics were considered akin to sorcery, so governments and consumers were wary and wineries had to hide the fact they practiced. Nowadays, people seem to be a little more open-minded, and Biodynamics are being not only promoted, but used as a marketing tool. As you’ll see, the proof is in the final product, and everyone in the natural wine community seems to agree that Biodynamic wines can be very special. I am definitely in that camp. This quarter’s wine club is nearly sold out, so if you aren’t already a member, sign up today. 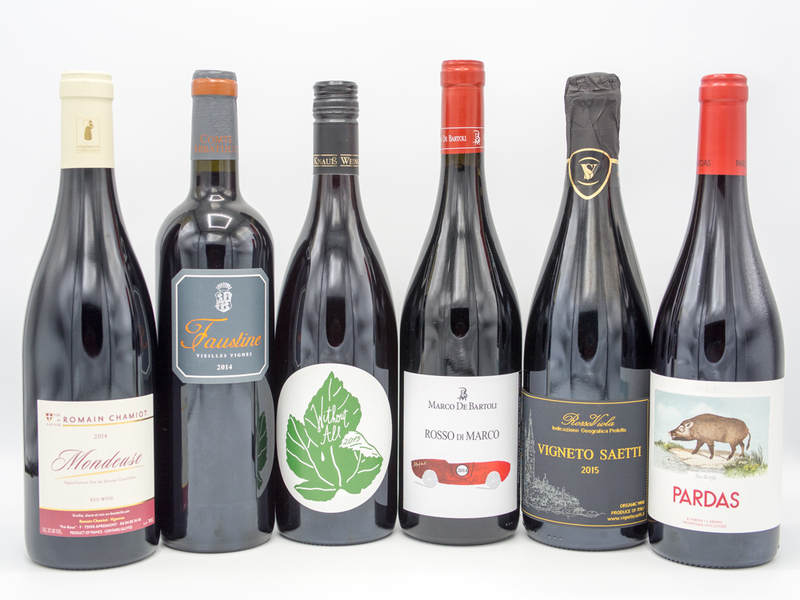 Each wine club collection features six wines for $150, excluding tax and delivery. Do you ever look at the back of a bottle of wine? If the wine is imported, it’s there you’ll find the label bearing the importer’s name. Importers are the people in the trenches who establish relationships with the winemakers and painstakingly select each wine to bring into the US. Average wine consumers tend to overlook the role of the importer, which is a shame because of how much passion, time, and work are involved in bringing these wines from thousands of miles away to your dinner table. Perhaps you have a favorite importer, like Kermit Lynch, Louis-Dressner, or Rosenthal. 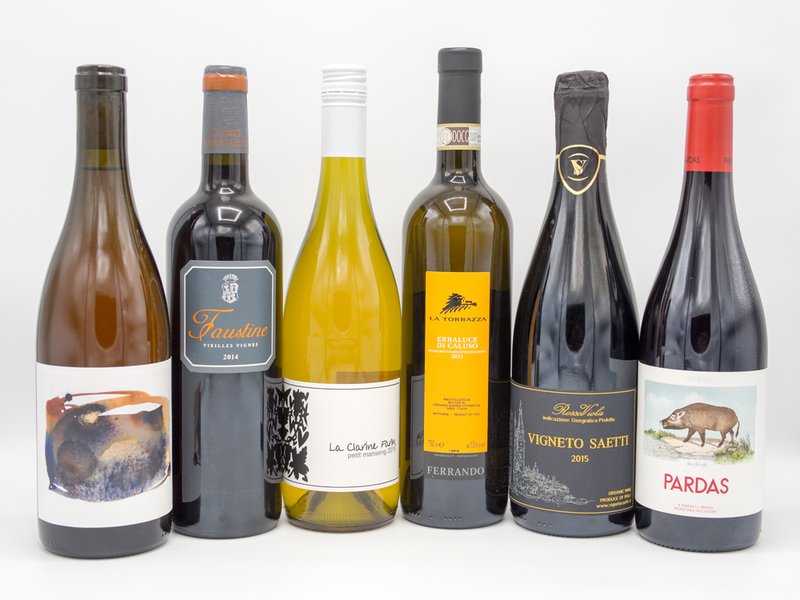 Many of us have importers that we prefer, and selecting an unfamiliar wine from a tried-and-true importer is a great way to discover something new that will suit your taste. For example, I know that if I reach for a bottle with the Goatboy Selections label on the back that I’m getting an authentic natural wine – complex and soulful, unadulterated, organically farmed, and made with minimal or no sulfur. Goatboy Selections is curated by Byron Bates, a NYC-based wine consultant and sommelier who created legendary natural wine lists at several famous restaurants before “natural wine” was a household name like it is today. During his career, he forged relationships with some of the coolest and most avant-garde producers in France, which eventually got him hired by importer T. Edward Wines to curate natural wine for their book. Our next wine club shipment features a selection of incredible natural wines curated by Goatboy Selections especially for T. Edward Wines. Join the wine club today to secure your collection. In addition to an awesome box of wine, you’ll also receive a full-color 28-page booklet explaining each wine in detail, along with food pairing suggestions and tasting notes. See the full list of wines below. 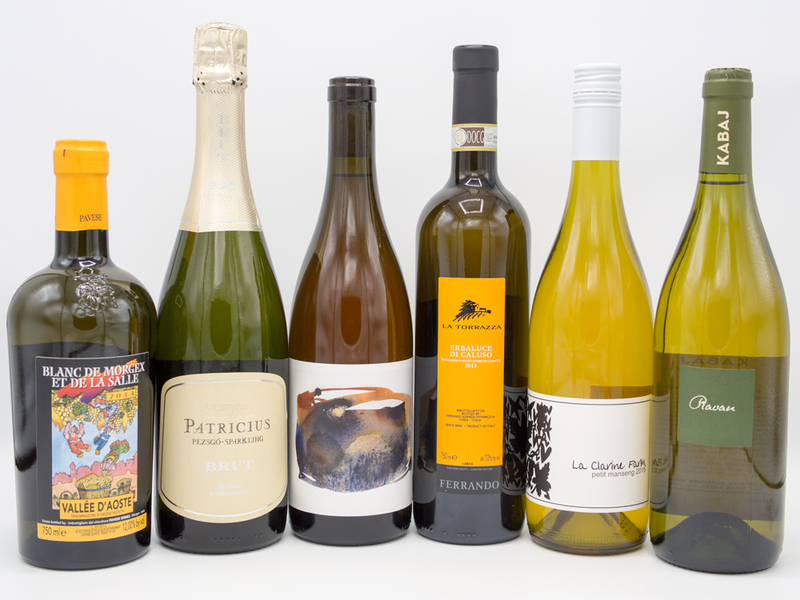 Our Spring wine club is shipping the first week of May (see our Delivery Terms for details). To join, simply click here, fill out the form, and be on your way to enjoying these phenomenal wines. Wine club members also enjoy an ongoing 10% discount on wines sold through our online store. Natural wine has been getting a lot of press lately. CBS recently released this informative video about additives in wine, with cameos from winemaker Tony Coturri, the godfather of natural wine in California, and journalist Alice Fiering, the woman who literally wrote the book(s) on natural wine. Definitely worth a watch if you’re curious to know what goes into most of the wines you find on the shelves. Want to know what all the fuss is about? Try some of these new selections from Winelandia. Made from grapes with love by some of the most exciting new winemakers in California (and one in Utah – Lewandowski). Save 10% on every wine you purchase from us by joining our seasonal wine club. You’ll receive quarterly shipments of 6 delicious wines, including an informative full-color booklet with tasting notes, production information, and winemaker bios. Coming hot off the heels of our very successful Califermentation event, I thought it would be a great time to get back to Winelandia’s roots and feature wines from California. I was lucky to meet so many talented and passionate people dedicated to natural winemaking and was inspired to do a wine club collection 100% focused on them. 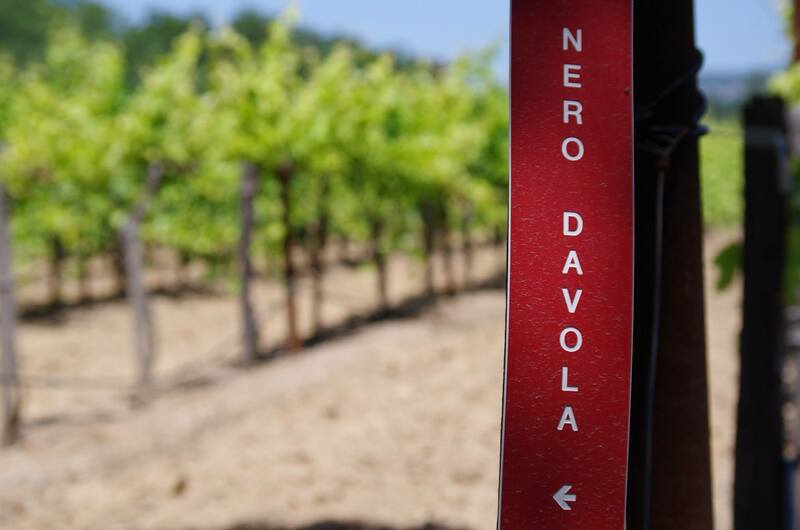 Here at Winelandia, we tend to focus a lot on Europen wine vs. California, and a lot of wine drinkers have a bias against one or the other. I think it’s very important to take the time to develop your own opinion and taste. 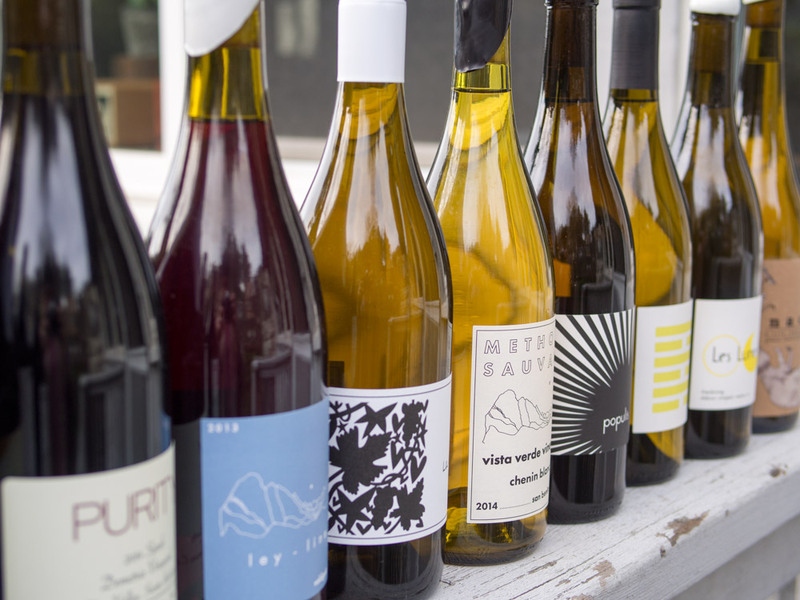 Natural wines are not only gaining popularity (perhaps you saw the article in Vogue last year? ), but Californians are also getting a lot better at making it. You may be familiar with some of the producers in this collection, such as Winelandia favorite La Clarine Farm (seriously, so many of you LOVE Hank’s wines, and he loves you back), as well as SF locals Deux Punx (we featured their Grenache in our Fall 2013 collection). 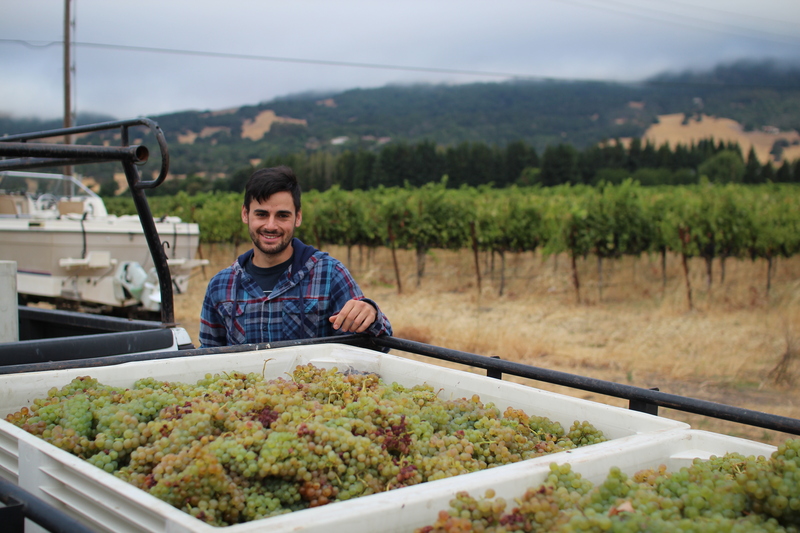 The rest are probably going to be brand new to you, and that’s because they are part of the NEW-new wave of natural winemakers in California. Every winery featured in this collection is owned and operated by a single person or a very small group of people. 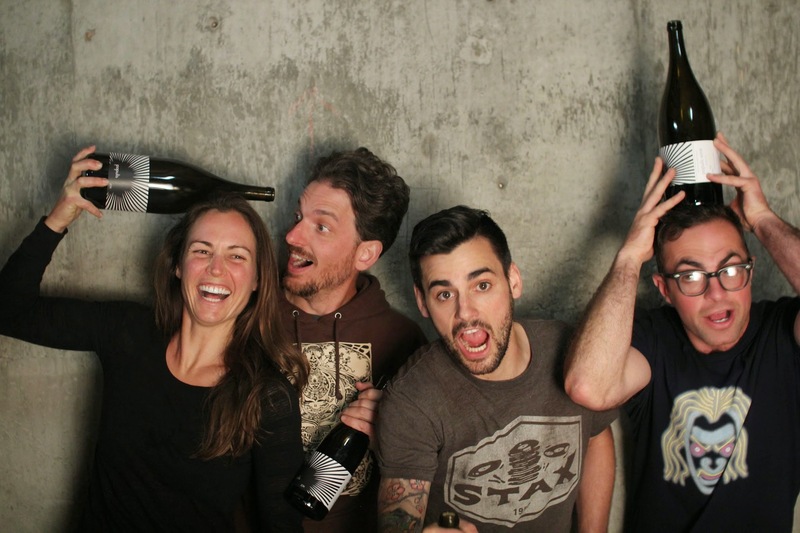 Les Lunes and Populis are part of a winery collective based out of someone’s basement in Orinda, and j.Brix Wines is a husband and wife team who gets a lot of help from their cellar rat kids. The winemaker at Petard cellars is a building engineer at a downtown San Francisco skyscraper by day, and Noel from Purity Wine is toiling away in his winery located in a now-defunct school on Treasure Island. When wines are made on a scale this small, they come with an extra helping of love. Without further adieu, here’s the list! Three red wines and 3 white wines. $150 plus tax and delivery. Six delicious red wines to warm your belly and your soul. Six incredible whites perfect for winter drinking. This quarter’s wine club will begin shipping the week of February 1st. To join the wine club, fill out the sign-up form at https://club.winelandia.com. California’s natural winemakers tend to be an adventurous lot, and with good reason. They take great risks foregoing the pesticides and chemical manipulations that have become a benchmark of most of the large well known California wineries, but it’s a risk they think is worth taking in order to produce something that’s honest. Apparently so do several hundred San Franciscans. 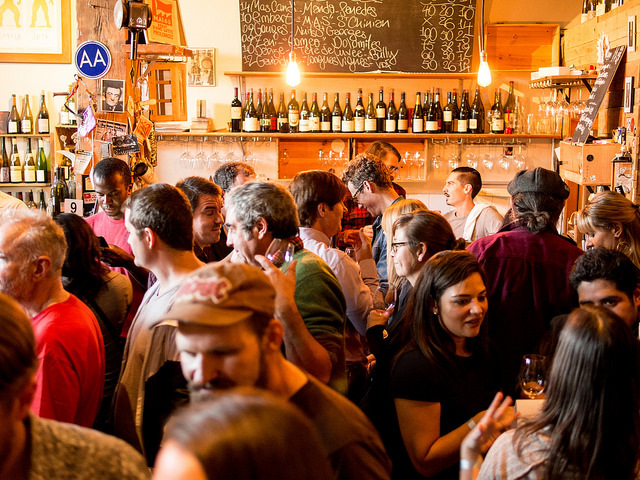 Califermentation filled both of the rooms in Soma’s pioneering natural wine bar Terroir this past Saturday, with crowds turning out to drink local wines and meet the people making them. 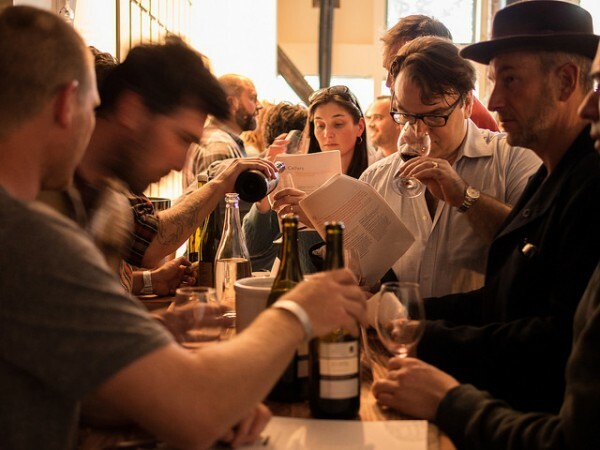 It’s a testament to the ethos of natural wine in California, really, the marked difference this event had to the sedated atmosphere of bigger, more traditional wine industry gatherings. 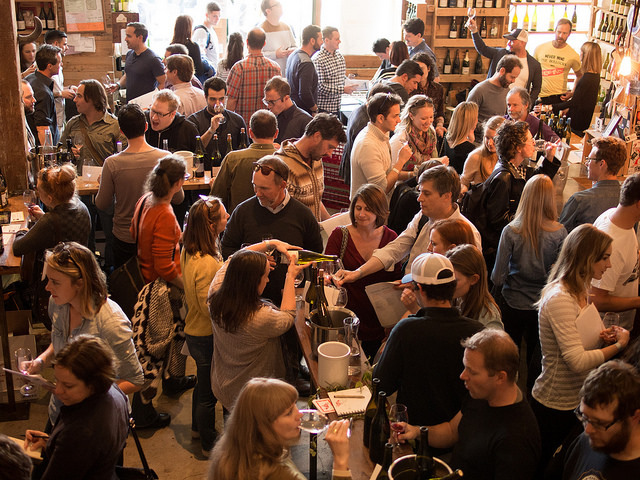 There were no airs of pretention, just a lot of people happy to be drinking natural wine, and proud winemakers eager to share what they do. There’s a lot of talk about “Farm to table” in California, but this was vine to table at it’s most raucous. The mountain of empty bottles towering over the recycling bins at the end of the night was a testament to that. Surveying the room, it was hard to miss the general enthusiasm for what was happening, and the lineup of participating winemakers was reason enough. California’s natural wine movement isn’t as old as it’s European counterparts, but some of the region’s early pioneers were pouring interesting bottles that you’d be hard pressed to find anywhere else. Gideon Beinstock from Clos Saron held court at the end of the bar, perched atop a stool to pour some of his older reds, including a rare magnum of his 1999 Pinot Noir. Only 6 cases of these were ever bottled, so it was a hell of a gesture to bring out something that’s undoubtedly one of the last of its kind. This presence wasn’t lost on the other winemakers, many of whom spent a great deal of the event crowded around one of the elder statesmen of California natural wine. The afternoon was also an opportunity to meet a lot of small producers that aren’t yet on many people’s radar, and it was nice to see a wide diversity of styles (not to mention some grapes that don’t make many appearances in California). A Pét-Nat made with Grenache isn’t the first thing that springs to mind when you think about San Diego, but Los Pilares are having a go at it, taking their inspiration from a deep love of Lambrusco. Much closer to home are the wines of Noel Diaz, who turns out some interesting things under the Purity Wine label on Treasure Island from grapes grown in the Santa Ynez Valley. His skin fermented Marsanne isn’t typical of what you’d find anywhere in California, and he even managed to sneak in a single bottle of the pleasantly dry Pét-Nat he makes with the leftover grapes. Old bottles and Pet-Nat experiments aside, there was something wonderfully buzzy in the air at Terroir, the sort of warm Dionysian glow given off from a large group of people enjoying themselves in a shared pursuit. Wine is often categorized as an insider’s industry that’s closed off and secretive about its inner workings, so any opportunity to bring drinkers and producers together does a lot towards dispelling notions of exclusivity. When asked why they don’t drink more wine, many people respond that they “…don’t know anything about it”. Hopefully more events like Califermentation will pop up in the future to make sure that they get the opportunity to change that. The nice thing about wine is that the best way to learn is by drinking it. 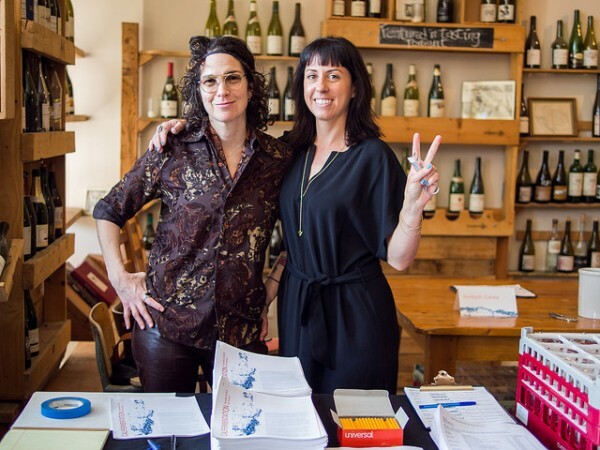 Not forgetting a quick shoutout to the two women who made Califermentation possible and wrangled together several dozen winemakers from across the state , Tala Drzewiecki and Pamela Busch! Wine elicits dictatorial feelings of taste in some people, which helps to explain the manipulative scoring schemes that have done so much damage to individual taste over the past few decades in California. On the other end of the scale are the people for whom wine awakens something very different, a desire to share something honest for it’s own sake. A wine collective is about as pure an expression of this feeling as there is, and It seems somehow appropriate that this winery would be dug into a hill beneath the home of one of the founder’s parents. The Living Wines Collective puts out a number of different labels between their four members, all of whom work under the principle that less is better when it comes to what goes into the bottle. They sum it up very nicely: “Our goal is to grow wines that pay respect to the great wines of California’s past, before money, ego and points got in the way”. By the time the grapes come off of the vine, most of the work should be done. No added commercial yeast, no chemicals to change the color or flavor of the wine. Just grape juice. It helps that the fruit that they work with comes from what could rightly be called California’s version of vieilles vignes: Carignan from 1948, Chardonnay from 1972, Nero D’Avola from 1975. Old vines that have been well cared for have a lot of interesting things to say for themselves when overseen by a light hand in the cellar, and all of the labels from the collective show this in their own way. One of the most satisfying parts of drinking these wines is that they’re unmistakably Californian. Having plied their trade in vineyards across France and Italy before pursuing things at home, it would seem reasonable that the wines of the collective would reflect the styles of regions further afield. Instead, what comes out of the bottle are wines that are firmly reflective of where the grapes actually come from. The other pair that make up the collective put out wines under the Les Lunes label, and the four collaborate together on the style of the Populis wines, although it seems like everyone has a hand in each other’s wines to one degree or another. Shaunt Oungoulian and Sam Baron both spent time in Burgundy, and promptly came home and managed to find 43 year old Chardonnay vines being grown at the foot of Mt. Lassen. Wines grown in volcanic soil have a special minerality to them, and finding a California Chardonnay that lets this come through without having to fight against the flavors of oak or chemicals is a wonderful surprise. It’s pretty easy to see the influence of their time spent in Burgundy in this wine, but it’s in the background, and you have to look for it. This is unmistakably a California Chardonnay, but in a way that makes you realize that people are using old techniques to make something new here. It’s pretty rad. Why do you drink natural wine? I drink it because I want wine to tell me something about where it came from. I don’t care if it comes from a picturesque winery, and in fact, I’m not that concerned with what the winery looks like at all. I want to know about the grapes. I want to taste the soil, the sun, find out how the grapes lived and what they have to say for it. The Living Wines Collective seems to feel the same way, and their wines are a very honest expression of California’s new wave of natural producers who are, for lack of a better term, doing their own thing. But they’re doing it with techniques from some of the world’s oldest wine regions, using old California vines, and producing something that’s worth attention.